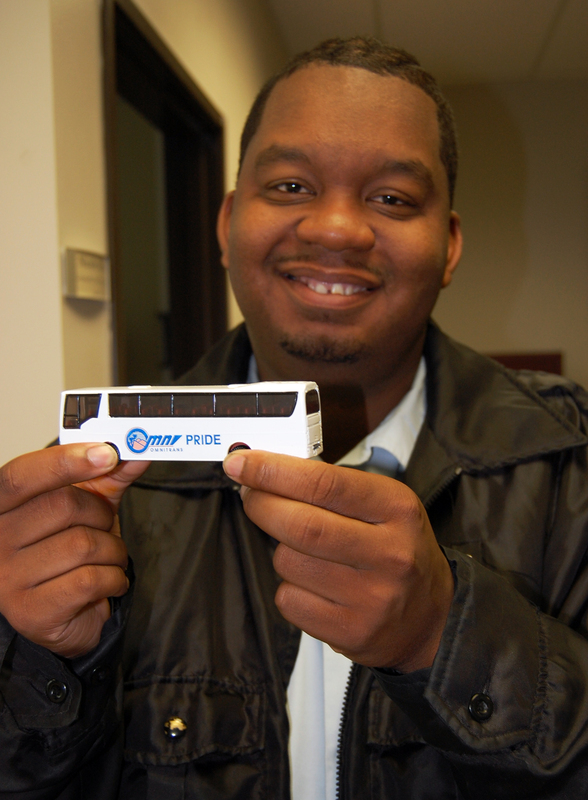 When he was a little boy, Reginald Jamerson loved riding around on a toy school bus his parents had bought for him. His family used to joke that that he would grow up to be a bus driver one day. Recently Reggie was going out of service for the evening when he noticed an unusually high number of passengers who had been left behind at a Route 14 stop because the bus had been at full capacity. With permission from dispatch, he turned around, loaded the passengers, and then ran the route all the way to Fontana. 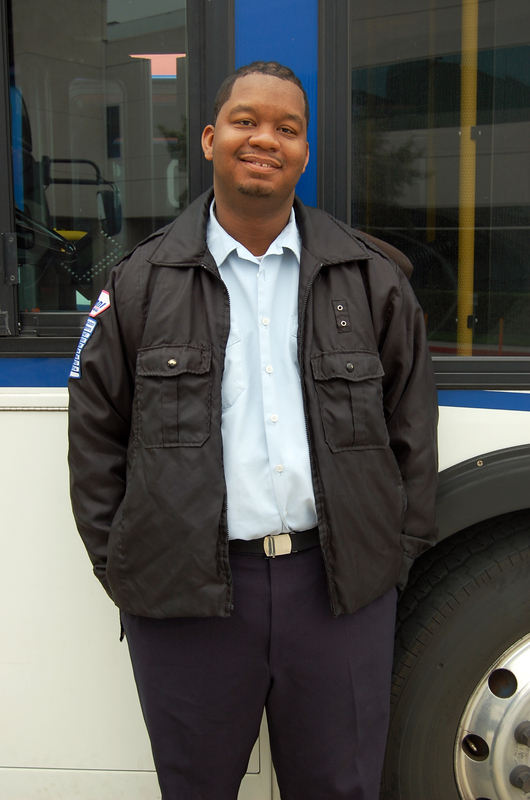 Reggie has a passion for public transit and eventually hopes to move up in the agency and become a field supervisor. He goes to school part-time and recently switched his major from pediatrics to accounting. He says it’s not as big a switch as it sounds, since pediatrics is very science and math heavy. In his down time he coaches basketball for the City of Redlands at the Redlands Community Center. 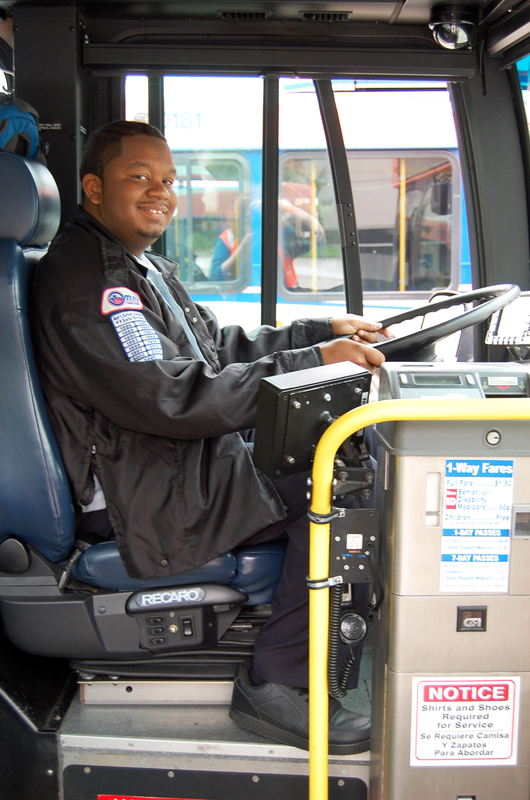 This entry was posted in Employee Profile and tagged employee profile, omnitrans, omnitrans bus, omnitrans bus driver, omnitrans coach operator. Bookmark the permalink. Exellent story, just goes to show you that Omnitrans operators always go the beyond the extra mile. Thank you to everyone at Omnitrans. nice story, i hope to become an operator by the end of the year. good luck reginald.